This cheesecake bars recipe is perfect for any occasion, but also work great as a festive dessert! 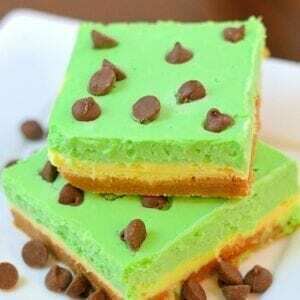 Everyone will love these cute grasshopper cheesecake bars! 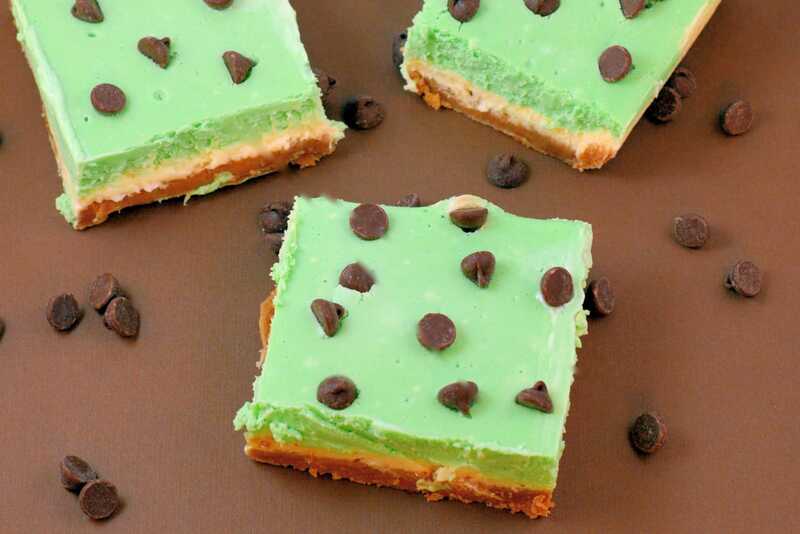 Grasshopper Cheesecake Bars are the perfect St Patrick’s day dessert. Green and minty, they are easy to make and delicious to eat! Refreshing, creamy grasshopper cheesecake. How can you go wrong? Answer: you can’t, it is awesome and glorious and deserves its spot in the dessert hall of fame. Grasshopper Cheesecake Bars boast cool mint with chocolaty goodness, all in the form of a handheld bar. 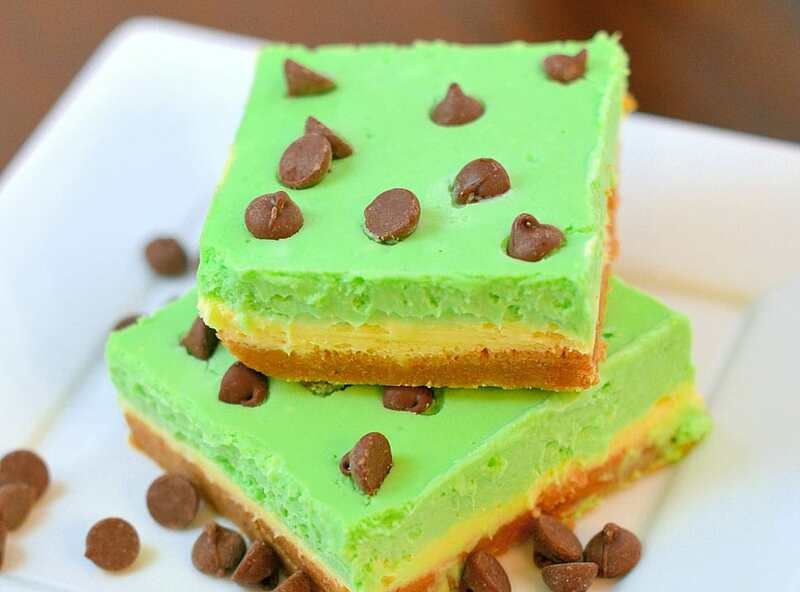 Although you can eat Grasshopper Cheesecake Bars any time of the year, they are particularly fun around St. Patrick’s Day due to their green hue. Creating this recipe got me thinking about cheesecake! Cheesecake is a popular dessert, and most people would assume it has some connections to New York but the first cheesecake may have been created on the Greek island of Samos! It is even thought that cheesecake was served to the athletes of the first olympics in 776 B.C. as they thought it was a good source of energy. They were also used as wedding cakes! When the Romans took over the Greeks they put there own spin on the recipe and eventually took the recipe over to Europe. Only in the 18th century did cheesecake begin to look like anything we have today. These cheesecake bars will be a hit anytime of the year, they only take 1 hour to make and are loved by guests of all ages. 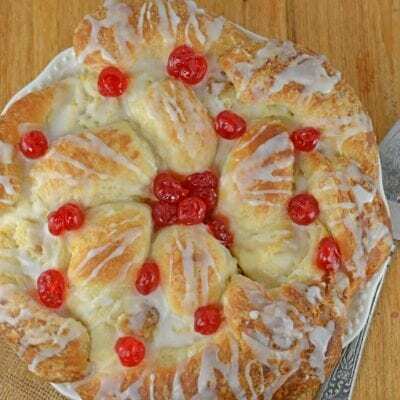 Make a dessert for your next get together that people are not soon to forget. Look at how green they are! People won’t forget that! What is a grasshopper drink? It is dessert cocktail made up of acreme de menthe, heavy cream, white creme de cacao and ice. And if you hadn’t guessed its green! 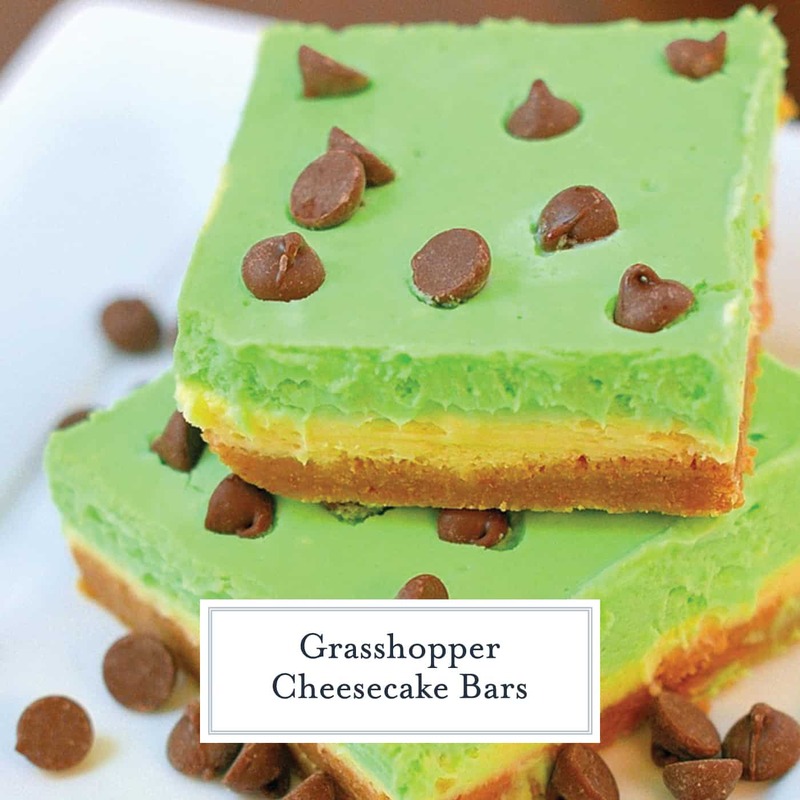 These grasshopper cheesecake bars are inspired by the drink and are even more delicious. 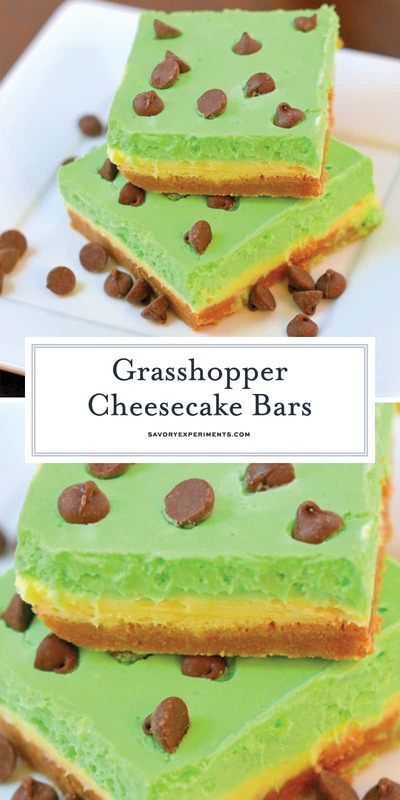 Grasshopper Cheesecake Bars combine a dessert favorite with flirty grasshopper, pepperminty taste, all in the bar form! 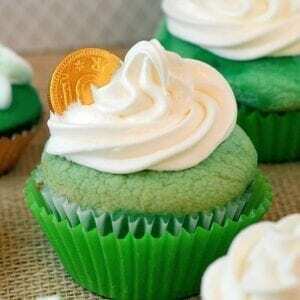 The perfect St. Patrick's Day dessert! Mix graham cracker crumbs and butter in a bowl, mix until fully blended. Press crust into the bottom of your 9x13 pan. Refrigerate while making the filling. 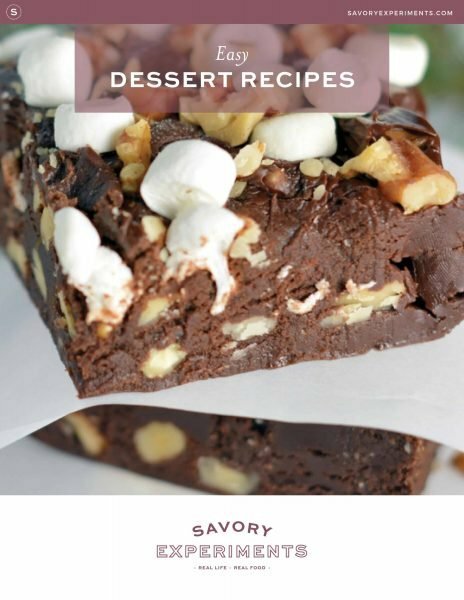 In the bowl of a stand mixer fitted with the paddle attachment or a large mixing bowl using an electric hand mixer, cream together softened cream cheese cubes and sugar until fully blended, approximately 2 minutes. Add peppermint extract and sour cream, continue to beat until blended. Add eggs, one at a time, until fully blended. Pour half of batter on top of graham cracker crust, spreading evenly. Add green food coloring to the remaining batter, blend until fully incorporated. It should be a light, minty green. Spread the remaining batter on top of the white layer. Fill a large roasting pan with about 1/2 inch of water. Set the 9x13 pan into the water. A water bath will prevent your cheesecake from getting dry, brittle and cracking. 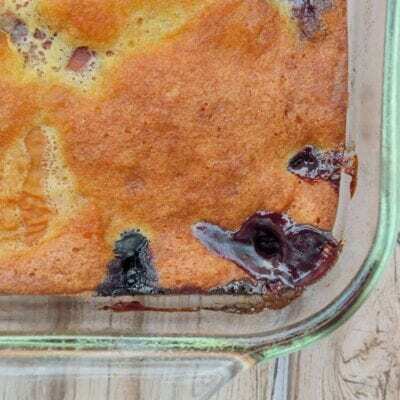 Place the roasting pan with cheesecake bars, into the oven. Bake for 30-35 minutes, or until the center is set. You can lightly touch it with your finger and if it jiggles like JELLO, it needs more time. If the top starts to brown, lightly cover with a piece of aluminum foil. Remove and allow to cool. Place pan into the refrigerator for a minimum of four hours. To cut, fill a cup with hot water, place knife into cup and then cut. Store leftovers in the refrigerator. Oh these look delicious! 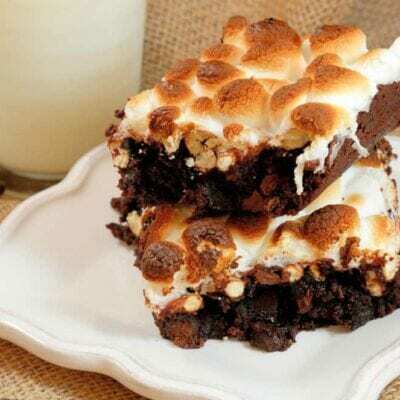 I can’t wait to try and make them myself. Thanks for sharing! Thanks so stopping by, let me know how you like them! Love it Jessica! The recipe is so simple yet the result is so lovely! Thank you, Nicole. I couldn’t agree more, but cheesecake is supposed to be simple, no? Absolutely love these! I can’t wait to try them! 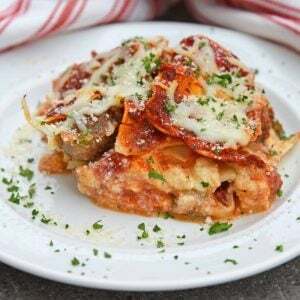 I’ll be showcasing them on the Front Page of http://foodisloverecipes.com for our St Pat’s Day Weekend! Thanks for submitting! Thanks so much, Laurie!! I’m excited! Christine, I love shakes too! This was an easy way to serve the same flavor, but not make a mess in the blender. Even I could make these!